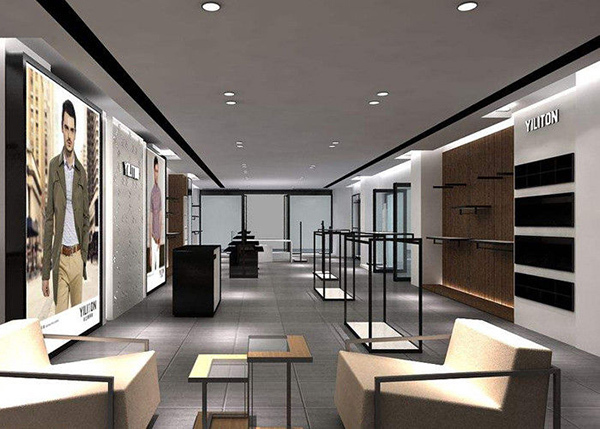 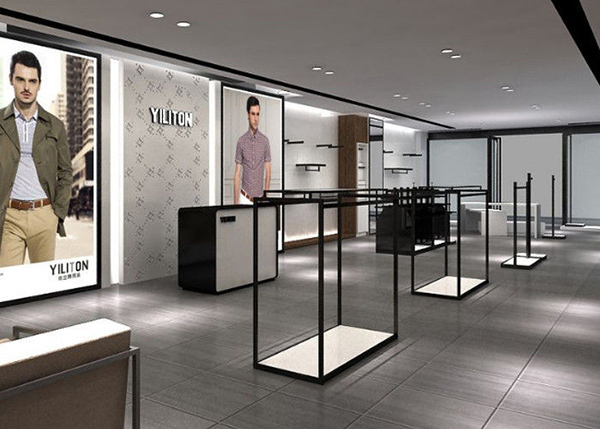 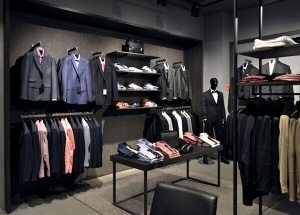 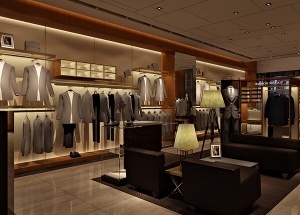 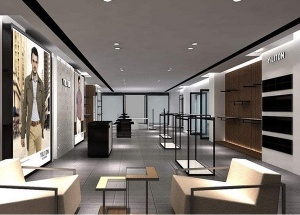 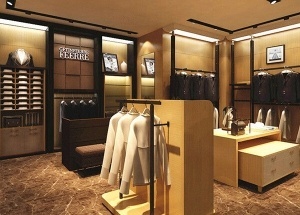 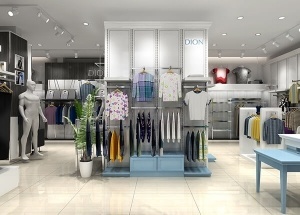 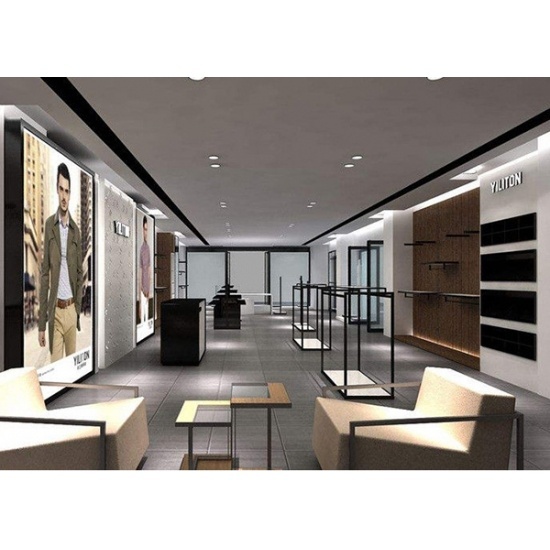 The retail clothing store design ideas was for Yiliton men shop project. 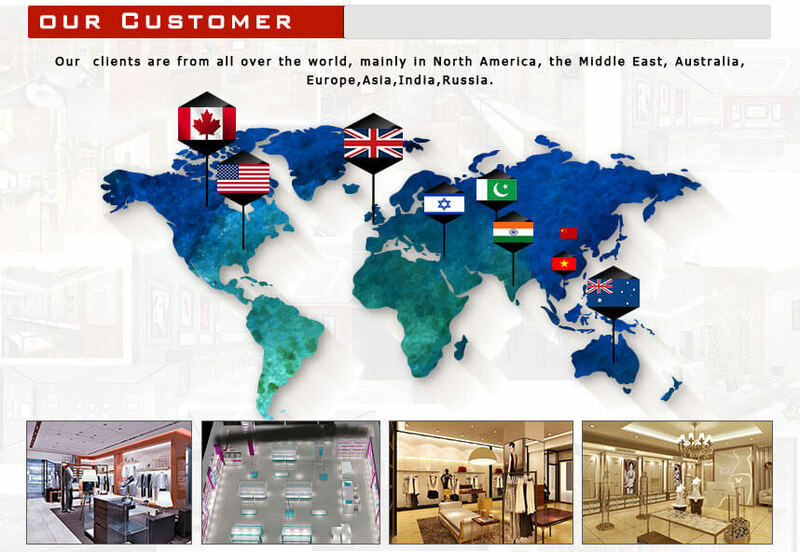 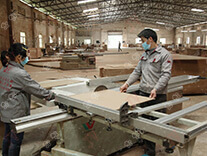 It's fashion and simple design style cater to consumers. 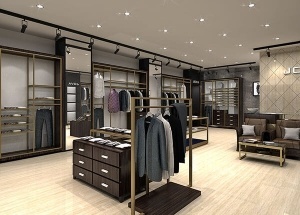 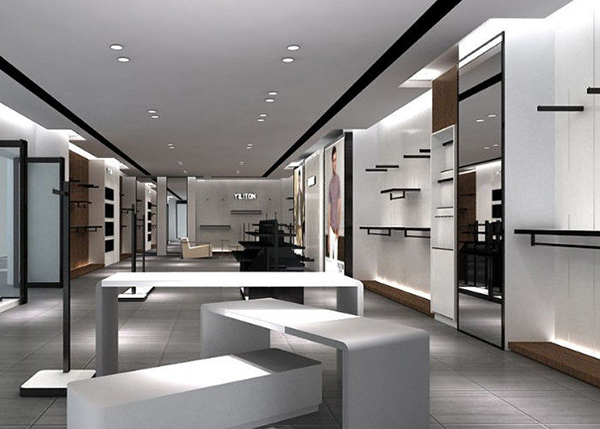 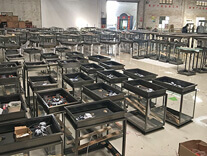 The clothing store using white and black color, the store displays including these types: wall display shelves, floor standing metal display racks, display table, light boxes, shop counter . 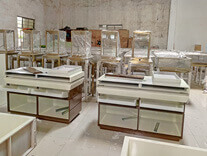 The clothing display furniture are white baking paint finished, black metal. 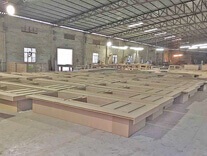 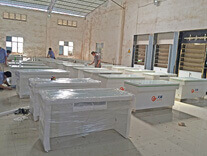 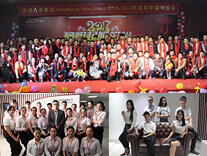 Jova Display Furniture, can do the customized brand LOGO displayed as customers’ requests. 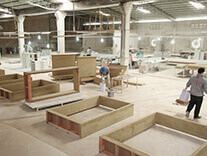 Due to the materials are painting and metal, Easily to clean and maintain. 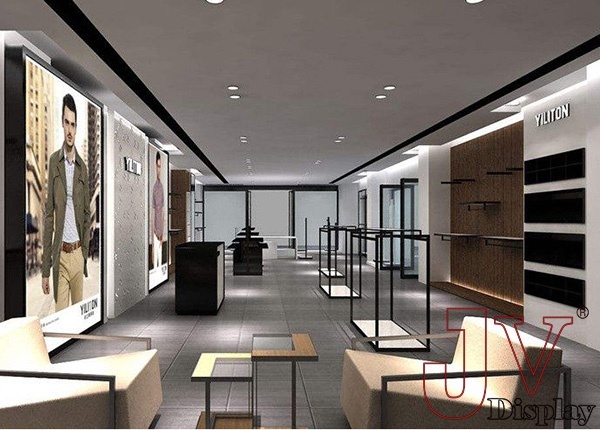 Get a free clothing store design, Please contact us by whatsapp: +86 13825185029 , email at jason@jovafurniture.com.